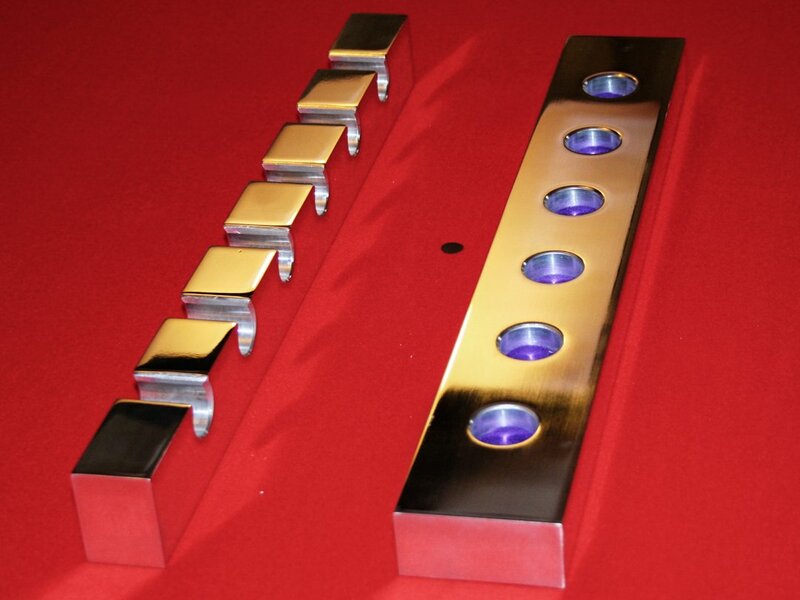 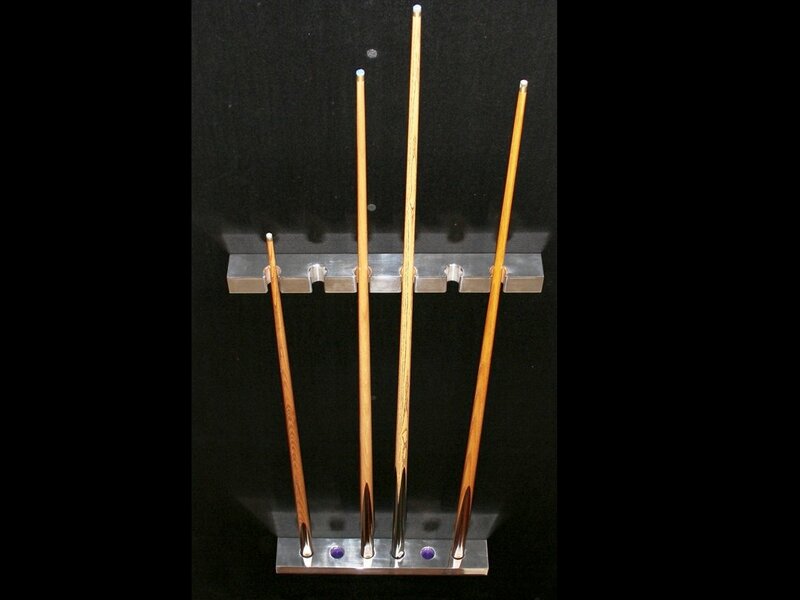 Our wall mounted cue racks are handmade in two pieces of solid wood or metal, to match your table, or your interior design. 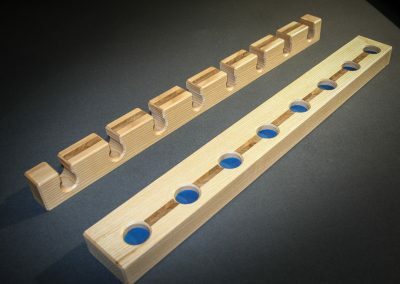 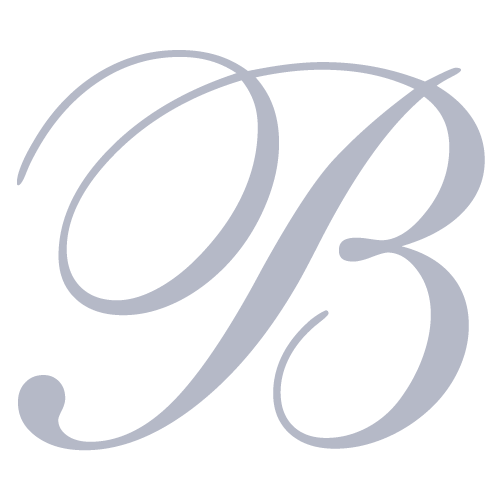 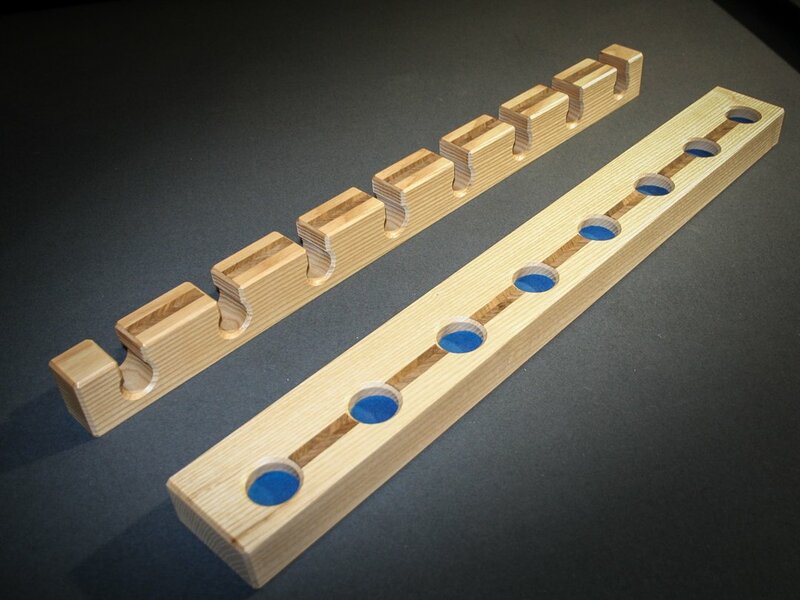 Typically made for between 6 and 12 cues and rests, it is possible to make them larger or smaller. 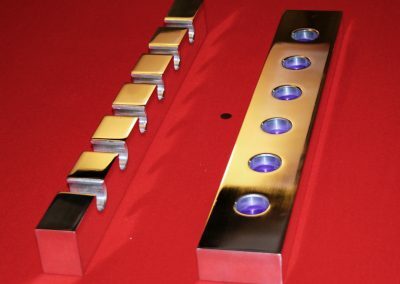 Both pieces have inset brass fittings for ‘secret-screw’ mounting, and the base section can also be made to sit on the floor. 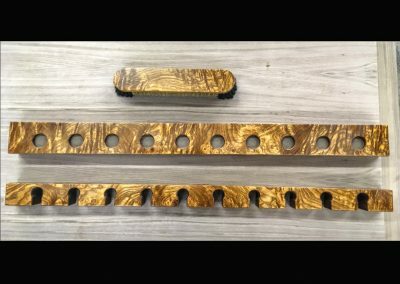 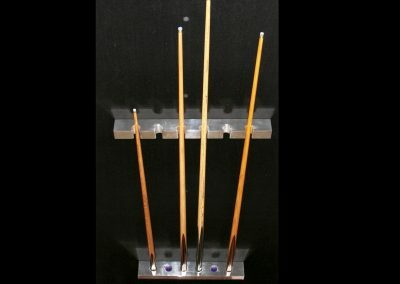 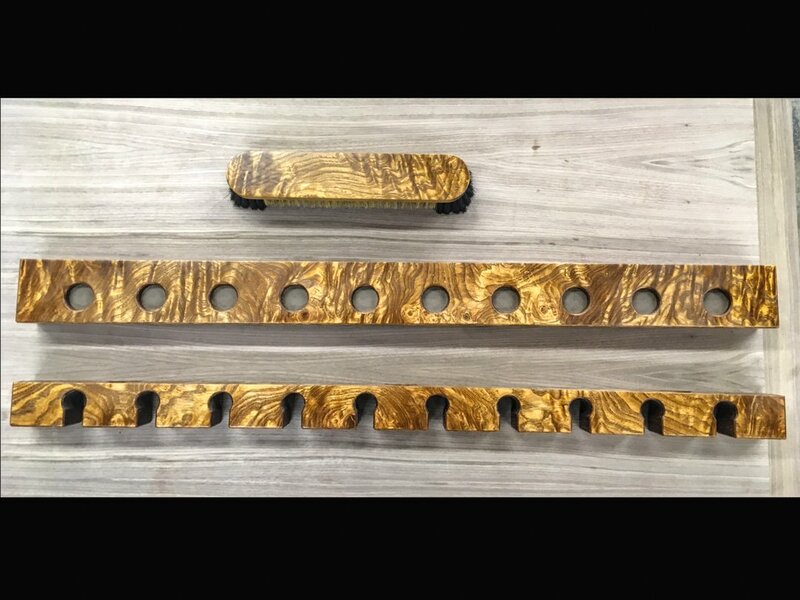 Shown here are an 8-cue rack made from Olive Ash with a walnut inlay,a 6-cue rack hand-milled from solid polished metal, and a 10-cue rack with a beautiful burr-veneer.